The Rev. Richardson was born in Dallas and Lovers Lane was his home church while growing up. He attended Thomas Jefferson High School and North Texas State University. 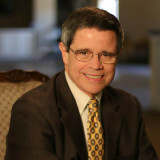 After owning a company for over sixteen years, John responded to God’s call, sold his company and entered the ministry. John attended Perkins Theological Seminary, SMU, and was appointed to Custer Road UMC in June, 1998. John is primarily responsible for the area of pastoral care. He leads the Ministries of Care, which includes Prayer Ministry and Congregational Care Ministry. In addition, John leads the Alpha course. He and his wife, Pam, have four grown children, John III, Mike, Steve and Cortney, along with daughters-in-law, Laura, Sandy and Heidi, and son-in-law Eric. John and Pam have 12 grandchildren.